The world when the Legal Services Act was drawn up “simply does not exist in the same way now” and the inherent tensions in the Act are becoming “increasingly apparent”, the first paper from the independent review of legal regulation has concluded. The review, run and funded by University College London, and with a stellar line-up of advisers, has begun with the publication of three working papers, with the first assessing the current regulatory framework. Written by Professor Stephen Mayson, who is heading up the review, it acknowledged that many would consider that Act “has led to the positive developments and outcomes intended” by the 2004 Clementi review that led to the Act in 2007, and the government that commissioned him. “It is doubtful, though, that those intentions have been realised as quickly or as fully as their initiators would have wished,” he wrote. Some of this was down to how the world has changed since Sir David Clementi finished his work. “The current structure therefore pre-dates the global financial crisis (which has led to austerity, shortfalls in the funding of legal aid and the wider courts and justice system, and then to a rise in litigants-in-person). “It also pre-dates a use of technology that has become more extensive and pervasive, as well as the rise of artificial intelligence in law. The paper went through these in detail, from the “inflexibility” of the Act – concerns over the move away from self-regulation that it entailed meant “much prescriptive and protected detail was ‘hard-wired’” into it – to the “competing and possibly inappropriate regulatory objectives” that are at the Act’s core. Reflecting work Professor Mayson carried out in 2010, he said the “pivotal” and limited set of reserved activities were “anachronistic and do not necessarily include all activities that ought to be regulated”. Further, title-based authorisation of lawyers resulted in additional burden and cost in relation to some activities being regulated that do not need to be – even though Parliament has decided that only the reserved activities have to be regulated, as soon as someone is authorised as a solicitor or barrister, “their regulator will then assume jurisdiction over all of the activities carried out by that person, both reserved and non-reserved”. It has also led to multiple regulators overseeing the same activity in different ways, as well as a regulatory gap that exposes consumers to potential harm from unregulated providers “and puts qualified practitioners at a competitive disadvantage”. Other problems were “an incomplete separation of regulation and representation” at the Law Society, Bar Council and others, and “the potentially misconceived ‘mission’ basis of regulation and regulators”. Professor Mayson explained that some regulators have appeared to prioritise one regulatory objective over the others, by suggesting that they regulated ‘in the interests of consumers’, or to increase competition among providers. 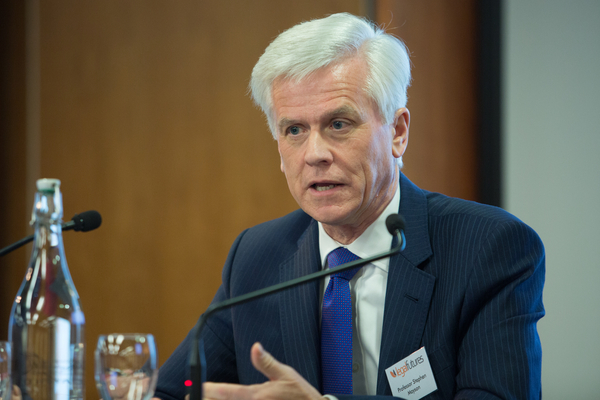 He said: “While a wish to see (and support) reform, modernisation and competition in the legal services sector is understandable, it is still open to question whether an oversight or front-line regulator should be setting these as its goals. “The Act does not require modernisation, competition and diversity such that these things become goals of the regulator in their own right. Finally, he highlighted research indicating “insufficient public confidence in legal services regulation”, and also the need for “the regulated providers of legal services to have confidence in the regulatory framework and regulators”. Alongside this assessment, the review is producing working papers addressing the four fundamental questions for the review: Why should we regulate legal services? What are the legal services that should be regulated? Who should be regulated for the provision of legal services? How should we regulate legal services? The first two of those have been published here.